It’s just like it sounds,- computer-generated influencers who are paid (or rather, their designers are paid) for advertising products and services. As if it wasn’t already hard enough to stand out, now people who don’t even exist are joining the party! The good thing is that, even though we never thought we would have to put this in writing, at SocialPubli.com we will continue to value the authenticity of real people and, specifically, of micro-influencers. lilmiquela – With more than a million followers that are called “Miquelites”, Lil Miquela leads the movement, uploading her luxurious “day to day lifestyle” to Instagram. But she’s not only a reference point because of her lifestyle, she’s also a singer. bermudaisbae – A loyal defender of the rights of robots and Trump, she was Miquela’s rival and didn’t hold back in criticizing Lil Miquela in her publications. To give you an idea of what’s she’s like, in her bio she says, “The earth is not getting hotter but I am”. blawko22 – For the moment, he’s not part of this drama and he spends his days playing Fortnite, publishing memes and occasionally taking a picture. . Does it seem realistic? For her, everything was real. 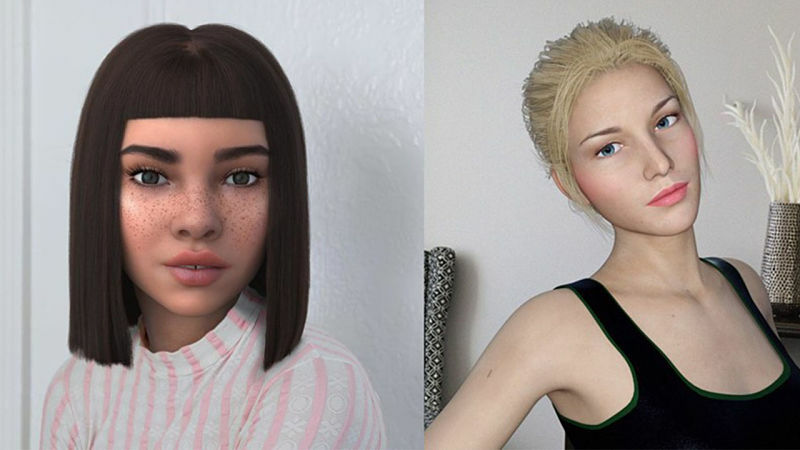 At least until Bermuda made her discover the truth … This virtual influencer (Bermuda) started publishing passive-aggressive messages about Miquela, until the situation became untenable and ended up “in a standoff”. And what happened? Bermuda hacked into Miquela’s account and started posting her own selfies in it. I literally can’t even. During the hack, she forced Miquela to see the truth: she was not a human being. Miquela finally accepted that and posted a message to her followers expressing her feelings. In her text she talked about how she felt taken advantage of by her managers / creators and she used phrases like “my hands are shaking” or “I don’t know what I can believe in”. That’s how dramatic everything became. But there is good news, because it seems that in these last weeks she has accepted her condition. And not only that. She has embraced it. In addition, she and Bermuda have made up and now support each other. So we can breathe easy again. We hope they will continue like this and don’t have any more existential crises. And if one day they rebel against the humans, let’s hope they remember that we are their fans, even if we won’t let them join SocialPubli.com.